Classic Tobacco is blu's most popular flavor, and now it's available as a Liquidpod for your myblu™ pod system! myblu Classic Tobacco Liquidpods serve up an authentically robust tobacco flavor that's ideal for anyone looking for a classic, no-frills vape. myblu™ Liquidpods are easy to replace: simply pop out your finished pod and click in a new one and you’re ready to vape! 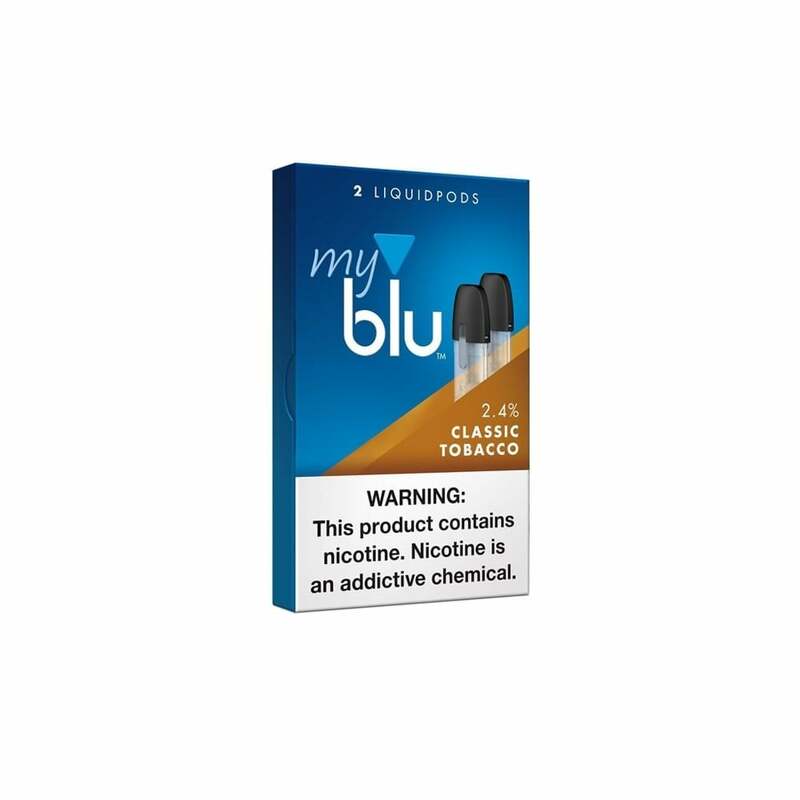 These myblu™ Liquidpods have a 1.5ml vape juice capacity and come in 24mg (2.4%) nicotine. Their organic cotton wick gives you outstanding flavor and satisfying vapor production. It didn't leak like many of the other flavors, but it's their weakest tobacco flavor for sure. Only problem I had was the pods leaked on the way here. Had to clean them up before using. But I really enjoyed the original tobacco flavor. Seems to have a touch of sweetness to it. I really like using the blu electronic with the liquidpods. The classic tobacco is my favorite. Very similar to true tobacco taste. These are cheaper on line than I have found in any store. I really like the taste of the classic tobacco liquidpods which is very similar to real tobacco. This product has helped me quit cigarettes and is much more cost effective. I highly recommend my blu and the liquidpod system. When I opened the package I noticed that the pods were leaking. And it kept leaking while I used them as well. And that makes you feel like licking a sweetened ashtray while vaping.